Toolz is back for another episode of ‘The Juice’ and this time with Naeto C on the couch. The only MC with an M.Sc talks to Toolz about married life, his partying days being over to transitioning into fatherhood, finding the balance between his personal life and life in the spotlight to also his side hustles and many other things. 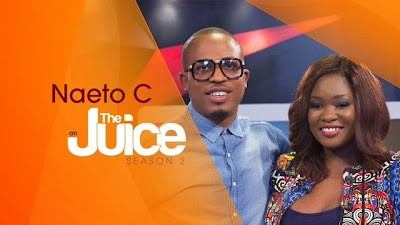 Naeto C doesn't hold back at all in this 15 minute interview with the media personality and they even play some games as well. Watch the interview below! One of the fast rising pop acts in Nigeria - Ayo Jay is put on the spot with Toolz on ‘The Juice’. Part of the many faces of the new school generation in Afrobeats in Nigeria - Ayo Jay, talks to ‘The Juice’ about his first single ‘Your Number’ being banned in Nigeria for it's "controversial" video. On often being compared to Wizkid, and relocating to Nigeria after living in the States for seven years. Ayo Jay also gives the scoop on his future endeavors and projects without giving too much away. 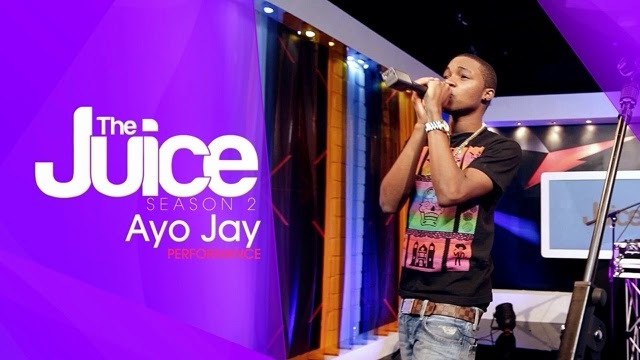 The boy wonder Ayo Jay performs his second single ‘Available’ (which is a big tune) on ‘The Juice’ with DJ Spinall. Party with Ayo Jay and DJ Spinall in the video below!